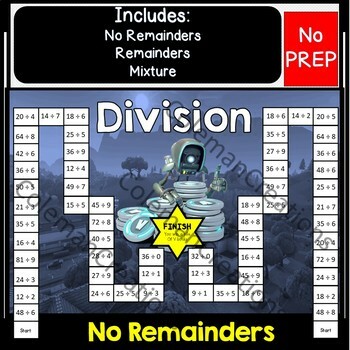 This file contains game boards for adding and subtracting fractions with like denominators and unlike denominators. 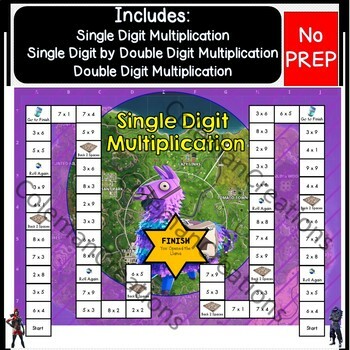 It also has one board game to reinforce turning improper fractions into mixed numbers. I use this for math centers, partner games, independent review and enrichment/intervention time. 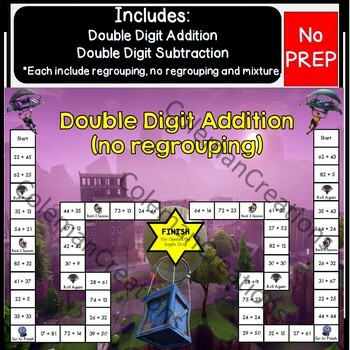 This print and go bundle is perfect for math centers and is played with a partner. 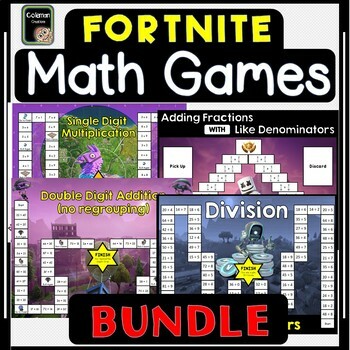 I use these fortnite games throughout the year during my math rotations. All board games are ready to print in color and black and white PDFs. I suggest laminating the board games. My 3rd graders have loved all of these games. They never get old. I recommend modeling with the kids how to show their work in their math journal. I hope you enjoy! Please email me at mrcolemancreations@gmail.com with any feedback, questions or recommendations. All credits are in the zip file.